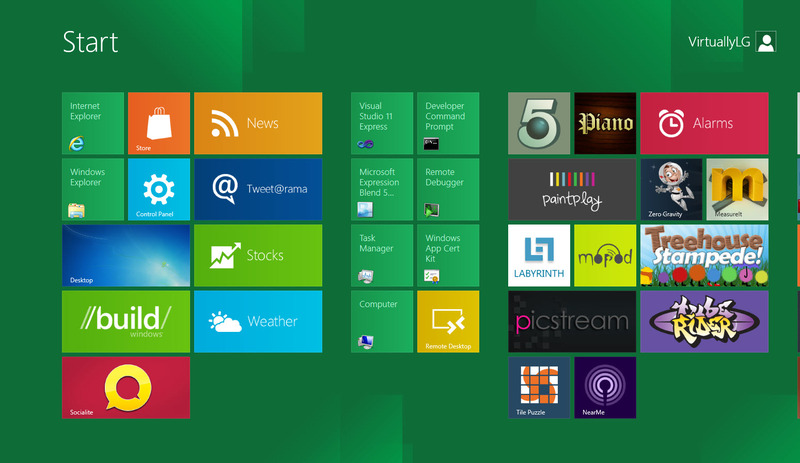 Author virtuallylgPosted on September 17, 2011 September 17, 2011 Categories Microsoft, VMwareLeave a comment on Windows 8 Developer Preview on VMware Workstation 8 – Watch your memory allocation!! Working with multiple hypervisors has been great in experimenting with certain features or just gaining an understanding how to configure something similar to a customers environment. Until now my lab environment is littered with multiple servers or harddisks with different images upon them but having the ability to work with these technologies with minimal hardware in lab environment or even mobile out and about would be great. 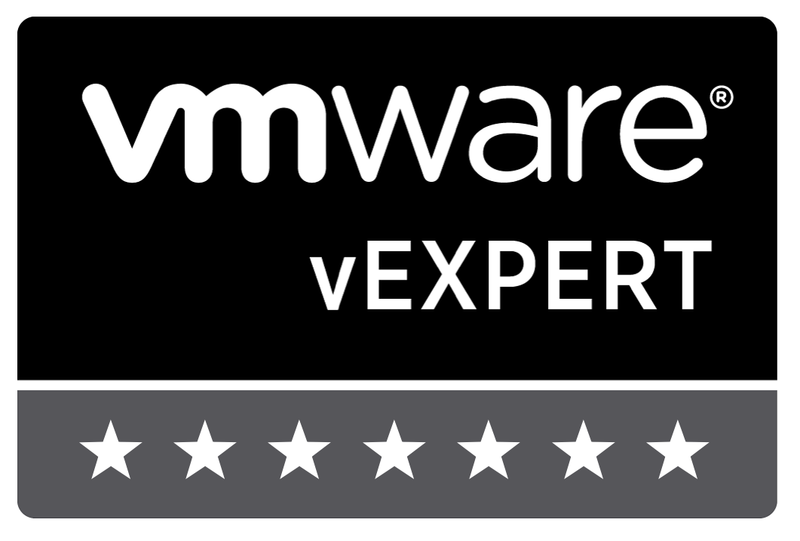 Until recently this was not possible due to the fact that nested 64bit VMs were not possible with Workstation 7.x or even ESX 4.x for that matter. 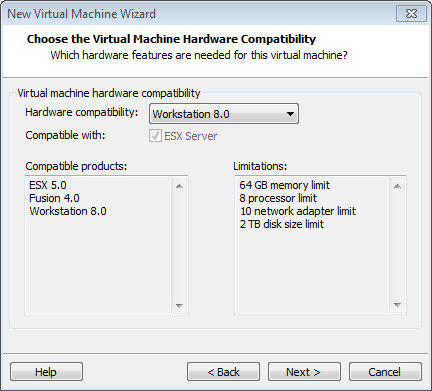 But now with ESX5i and Workstation 8 this is now possible. One caveat to add though is that your hardware must be VT-x capable which of course most are these days but with one additional and really important CPU instruction set of EPT (Enhanced Page Tables) or RVI from AMD must be present, searching the various chip manufactures sites it seems that if your running Nehalem or i7 from Intel at least then your good to go. Luckily I have both an i7 on my laptop and Nehalem in my HP ML G6 home test lab. So lets take a look at ESX5i first and see what needs to be set for Hyper-v to load. 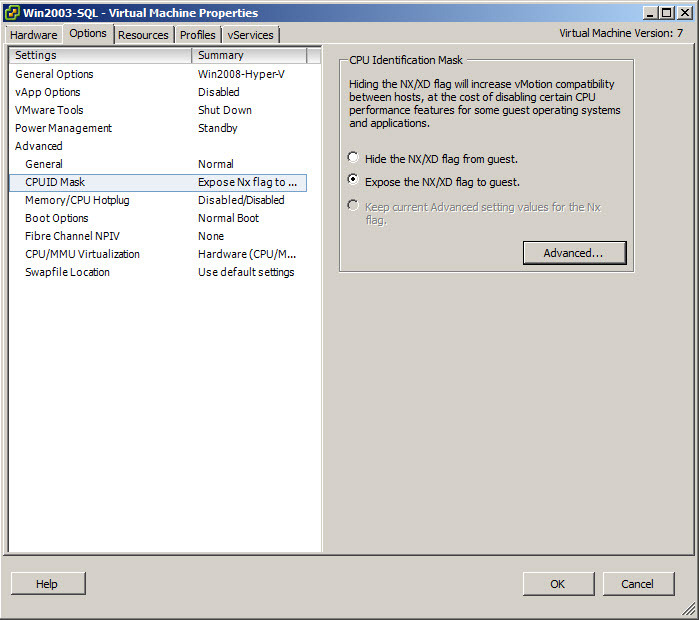 Virtualization make sure you select the option to pass the Intel EPT feature. 8. 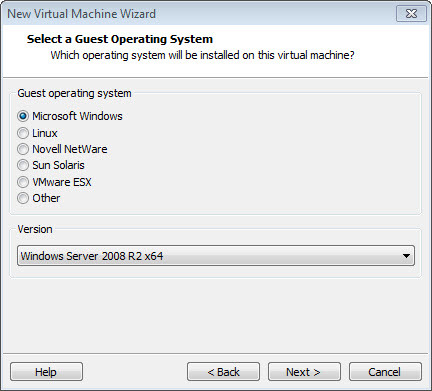 Finally you are now ready to install Windows 2008/R2 and enable the Hyper-V role. For configuration with Workstation 8.0 things are a little easier. 2. 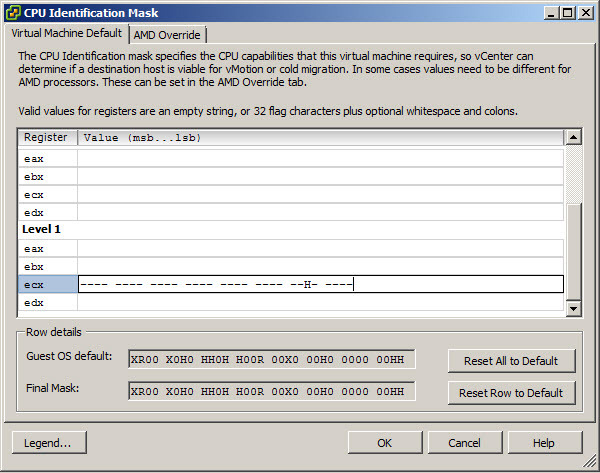 Configure the VM with RAM and Disk etc…. 3. 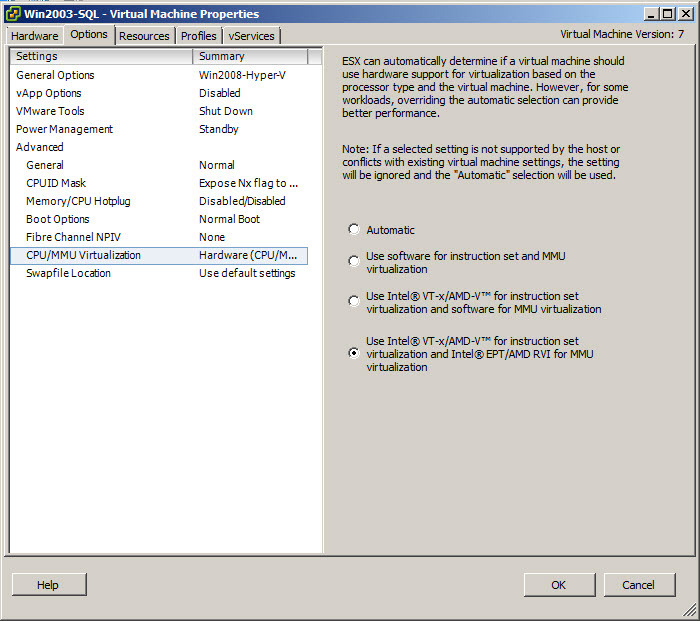 Important step here select Windows 2008 R2 x64 and not ESX5i as you probably did with nested 32bit VMs. 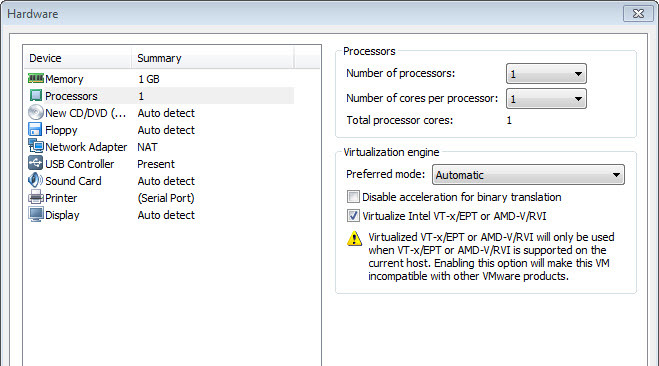 4 Under the settings of the VM > CPU, make sure you have the option to pass-through the Intel VT-x/EPT feature. Next stop for me is to see if I can get KVM working also and then I will be happy.